Mrs. Timmerman's practice concentrates on estate planning, elder law and tax compliance services. Prior to joining the firm, Mrs. Timmerman worked for the United States Securities & Exchange Commission (SEC) wherein she represented the Commission in its Division of Investment Management which regulates mutual fund companies, fund managers and registered investment advisors. Before that, she served as a Manager for Deloitte & Touche, LLP where she provided estate & gift planning and financial advisory services to individuals, succession planning to closely-held business entities and tax compliance services to estates, trusts, individuals and foundations. Mrs. Timmerman also worked at a general practice law firm concentrating in Estate Administration. A graduate of American University’s Law School (J.D. ), Mrs. Timmerman earned an LL.M. in Taxation from Temple University and an Accounting Degree from Villanova University (B.S.). 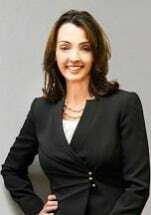 She is a member of the Pennsylvania and Bucks County Bar Associations. Siobhan resides with her family in Bucks County and she is active in many social and community events.